You have been using Pardot for a while, that powerful digital marketing platform you were so excited to implement but the relationship has gone stale or you are new to Pardot and you want to get the most from your investment. In this first part of a two part series, we’ll share five ways to make sure Pardot is working for you. Pardot is an incredibly powerful marketing tool, but, like that drawer in your kitchen you dread to open, it can become cluttered over time, and cumbersome to use. 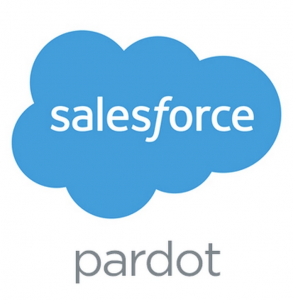 Folders are absolutely crucial in improving the usage and success of Pardot. When you are desperate to get going, its super easy to throw everything in the “Uncategorised” box, and before you know it, its crammed full of templates, forms, custom redirects and more. The perfect folder structure isn’t something that’s universal of course, but it is achievable with a bit of thought. For example, you can structure folders by Year, Product, Business Unit & Campaign Type. These can all be successful, but the main thing to remember is, if it’s not working, change it! When you are in the folder screen, assets and folders can be dragged and dropped to a new position, allowing you to quickly and easily change the folder that an asset is in, and restructure your folder hierarchy entirely. Roles are another feature people tend to overlook on setup. When you are working through your implementation, the requirements can quickly start flooding in. More users are added to Pardot, a long list of things are added to your To-Do list and before you know it, your Administrators outnumber all of your other Roles. Cutting back the number of Administrators in your Org is not only good practice but can help also with visibility. For example, people with the Marketing User role have many of the essential permissions needed for the day-to-day use of Pardot, and only have access to folders shared with them. In practice this means folders for older, historic campaigns, different business units, or for colleagues in different marketing teams across the globe, can be easily hidden from view. The benefit is that your cluttered tree of folders is reduced to a manageable list of folders that will be used on a regular basis. Our experience in Bluewave is that having a smaller group of Administrators also places an extra level of control over features and functions including Connectors, Custom Fields, User Administration and more. Not everybody who is a Salesforce Administrator needs to be an administrator in Pardot, and many who were initially set up as Administrators may not need these privileges any more. Evaluate the tasks that the individual is needed to do: is an Administrator Role really required to execute their activities? If so, is it reasonable that those requests could be managed centrally? Scheduling in a Role Review periodically can save this one getting out of hand. Email Templates are one of those components in Pardot that is always up for discussion. In our customer engagements as Pardot consultants at Bluewave, Ireland’s premier Salesforce Platinum Partner, we always recommend each Email Template is a finalised version of the email. Whilst this means you might end up with a whole bunch of templates, it makes re-using elements of these templates far easier. If you choose to adopt a similar style or re-send a message to a few people who were missed from your initial send, its easily done with a few clicks. For those who miss a classic Email “Template” with holding sections for text and images, these can still be created, and in fact, creating a bunch of Master Templates is a great way of achieving this. These Master Templates can then be “Copied” – essentially Pardot’s version of “Save as”. This will allow you to take advantage of the content and styling of the master template, keeping the original Master Template in place, and also saving the finalised version of the email we were creating. That’s it for Part 1 of this series – check in next time for Part 2 of this short series on powering-up Pardot.